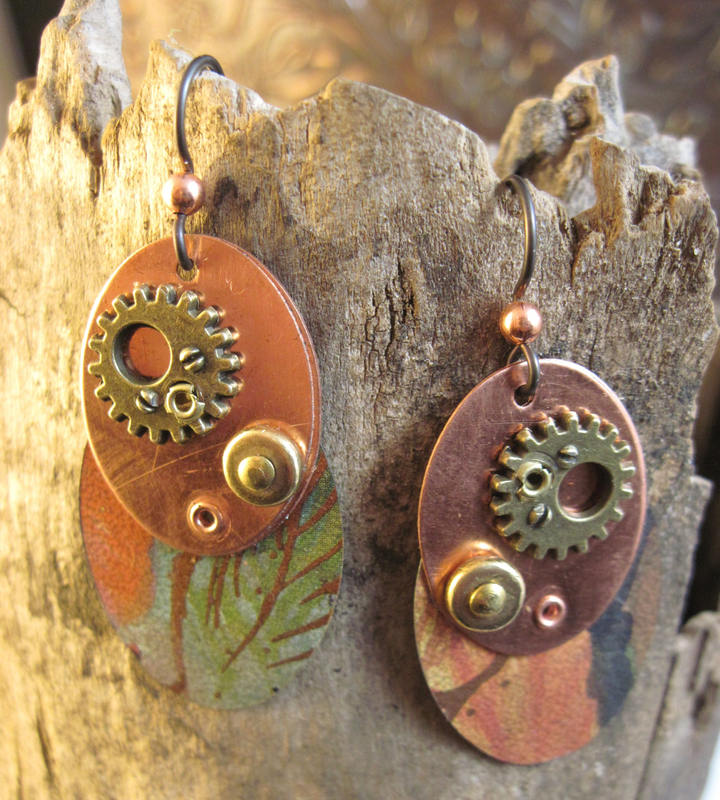 Dangle steampunk earrings are made of a tin oval cold connected to another oval of copper. 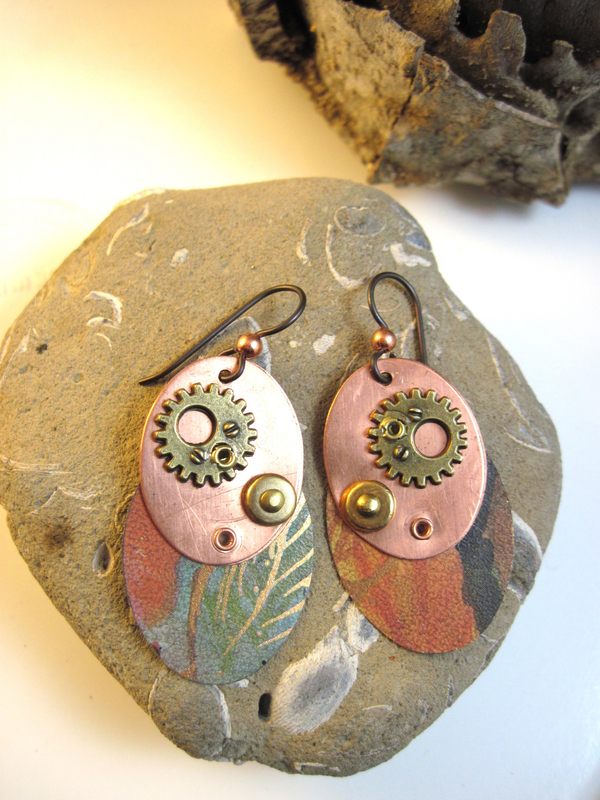 The earrings are further adorned with a gear and a brass spacer bead. Tin sections are from the same tin but there are purposely mismatched. 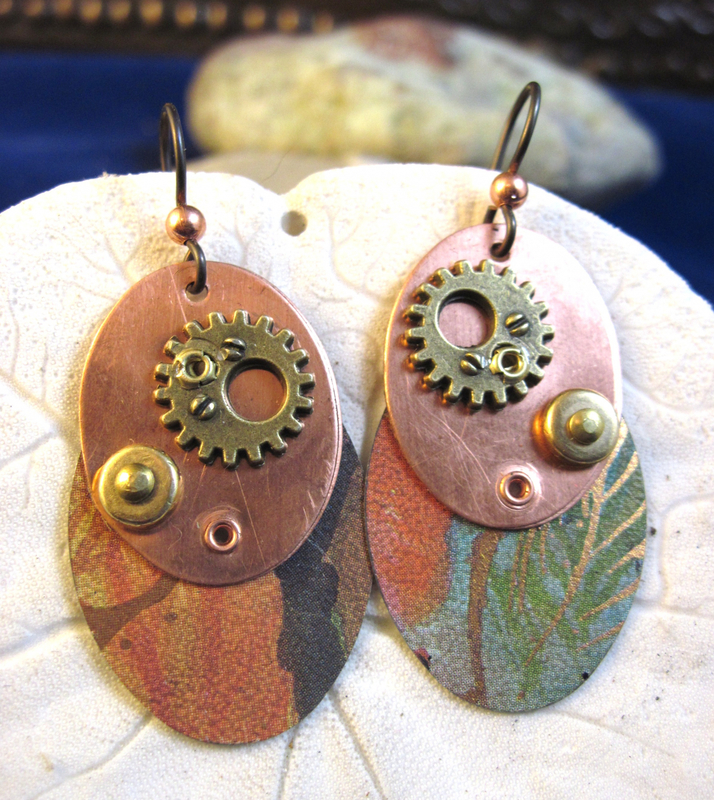 The ear wire is niobium. Niobium is an element and hypallergic. The color is created by running electric current through the niobium. 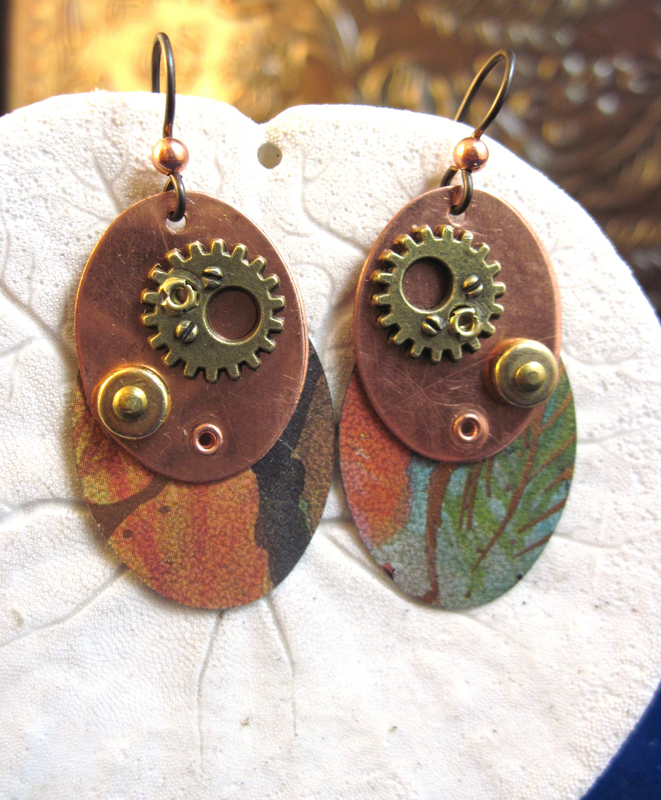 Length of earrings from top of ear wire to bottom is two inches. 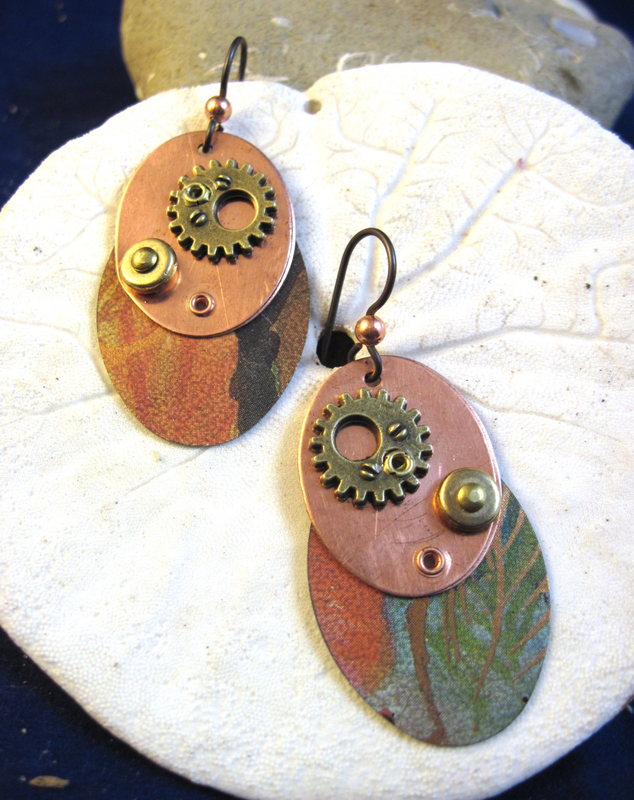 The earrings are about an inch across at the widest point. Trashy Tinsel is an earth friendly line of jewelry.